My two previous posts discussed presenting data in a tree-like fashion and filtering hierarchical data sets on certain query conditions while still returning a tree-like result set. This post discusses a subject along the same lines. 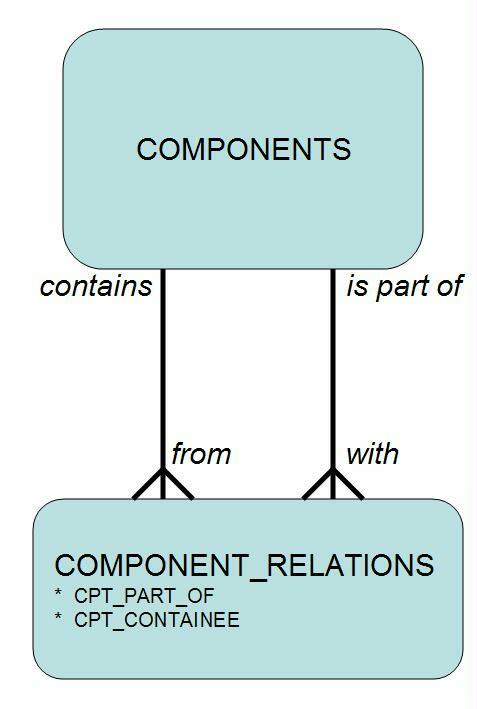 We have a data model with a “components” table that is linked to itself through an “components relations” intersections table, one that describes instances where a component is part of another component. 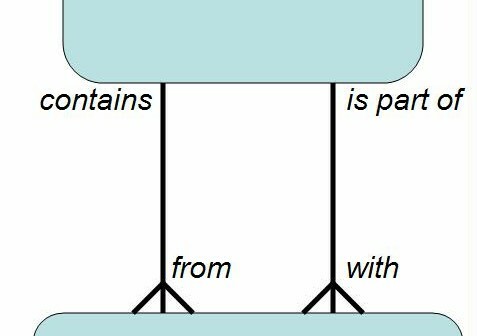 Note that a component may contain many other components and a component can be part of many components. Instead of component, you may also read ingredient when discussing recipees, subject when discussing a thesaurus or book index, social clustering etc. I ran into the “bill of materials” recently while working on our new Skill Management application, where all skills of the AMIS staff are recorded and maintained. We are talking about some 70 developers with skills in over 600 tools, technologies, roles and versions. Having to select one ‘subject’ or ‘component’ such as Hibernate Release 3 or PL/SQL Collections from the list of 600 items can be a pain. Especially since this list is really organized quite hierarchically. In the above two cases, what you actually select is: Java/J2EE – OO/R and Persistency – Hibernate – Hibernate Release 3 or Oracle – Oracle Database Development – PL/SQL – PL/SQL Collections. Both for maintaining the list of “knowledge components” as for selecting elements from this list, it would be very convenient if we present the list as a tree. Let’s see how to do that. The Oracle CONNECT BY clause is typically used to present data in the form of an hierarchy. Usually the CONNECT BY makes use of a self-referencing foreign key on the table whose records are the nodes in the tree. However, in this particular case the hierarchy is defined across two tables. We will first combine the two tables in an in-line view. We are selecting all component nodes: every occurrence of a component as child in a relation with another component. To ensure we also select root-nodes – components that only exist in the tree as top-level parent – we use the left outer join. Finally I will discuss how we can select all components that contain the term ‘java’ or the word ‘sql’ and still present the results in a tree – even though the ancestors of the nodes that satisfy these search conditions may very well be outside the set of selected components. This was discussed at length in a previous post: filtering hierarchical data sets on certain query conditions while still returning a tree-like result set. What we will do is first select all nodes from our Components-tree. Then we will add a marker column to each node in the tree, indicating whether or not that node satisfies the search conditions. Next we build the components tree again, BOTTOM UP, starting from all marked nodes. This bottom up tree contains all selected Components – we start building the tree on those nodes after all – as well as all their ancestors, since the tree is built from the selected nodes all the way to the root. Finally, we reconstruct a tree from all selected nodes – either because of ancestor-ship or because they directly satisfy our search condition. I am sorry if I should ask off-topic question here. Actually, I am searching the UML/Code and Hibernate Mapping file of a BOM mode exactlly same as the model you mentioned in this article. But sadly, I can’t find any in google/web. What I can only find is composite pattern but it is absolutely not appropriate. Do know if there is better terminology to describe this model?